International conferences and workshops related to the linear collider are traditionally held twice a year: one global meeting, and another regional one. 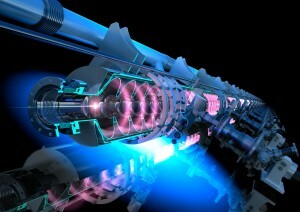 Next April, a new style of Asian regional linear collider workshop will be held in Tsukuba and Tokyo, Japan. The Asian Linear Collider Workshop 2015 (ALCW2015) will take place from 20 to 24 April 2015. This workshop will be devoted to accelerator, physics and detector aspects of future high-energy electron-positron linear colliders. What is different about this workshop? This workshop is the first Asian regional workshop since the start-up of Linear Collider Collaboration. Being different from the past regional workshops in Asia this workshop is co-organised by KEK, ACFA, and LCC, and a new session organisation is attempted: the detector sessions consist of several mini-workshops of detector concept and R&D groups. ALCW2015 is also different because it will be held in two cites – Tsukuba and Tokyo. The the middle day of the workshop, Wednesday 22 April, will be a special day in Tokyo. Because the workshop is being organised at a critical time for the ILC project development in Japan, it will have a special focus on the ILC progress in Japan. And, this Tokyo event will not only be open for the AWLC participants, but for anybody who is interested in the development of the linear collider progect. In the morning of 22 April, there will be a special plenary session of the ALCW workshop. In the afternoon, a special symposium will be held where you can catch the latest news about moves towards the realisation of the ILC with invited speakers from various fields. After the symposium will be a banquet of a special kind – the taste of TDR, with booths offering local specialities from as many countries represented in the TDR signatories list as possible. The organisers are now trying hard to find as many caterers of different cuisines as possible.This food festival also serves as a public outreach event to which schools, local residents, industry. We hope to have as many participants as possible in Tokyo and accelerate processes to launch the ILC project. Let’s get together in Tsukuba and Tokyo !